Digital media is all around us. What do people do online? More importantly, why do they read, listen, watch, share and create what they do? The digitization of the Media, Entertainment, and Information (MEI) industries has significantly transformed businesses and the consumer. The increased use of digital media is changing people’s everyday lives and the way they connect and collaborate, especially at work. · What impact do these changes have on content and service consumption patterns? · What are the implications on our private, professional and public lives? · How is digital media impacting and transforming the way work gets done? · What are the potential consequences on our larger society? Please join us at this engaging and interactive session to learn about the impacts of increased use of digital media on all the items above. This session will be informed by findings and insights from the World Economic Forum's Shaping the Future Implications of Digital Media for Society project completed in collaboration with Willis Towers Watson , such as conclusions drawn from a survey conducted by the Forum in five of the world's largest markets: The USA, Brazil, South Africa, Germany, and China. This discussion will also focus on how the study findings can help companies transform how they engage with employees and transform work through digital media. 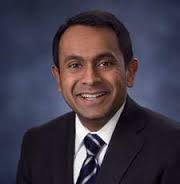 Ravin Jesuthasan is the Global Practice Leader of Willis Towers Watson’s Talent Management practice and managing director. He is strategic adviser for the World Economic Forum’s Shaping the Future Implications of Digital Media for Society project. He is also the author of Transformative HR and the recently released Lead the Work: Navigating a World Beyond Employment.